The company LONGSPEED s.à.r.l. has been established in Luxembourg the 1st January 2007 by his owner Fernand LELONG. After more than 15 years experience in restoration of historic cars with the company RETROMOBILE S.A., especially UK cars, official CATERHAM dealer for Luxembourg and more than 30 years experience in BMC Mini, I decided to create my own company. In 1989 I was in England, searching a good engine builder company, specialized on BMC A-series engine’s and FORD Kent engine’s. I contact a lot of engine builders, RICHARD LONGMAN, OSELLI, JAN O’DOOR (JANSPEED) and finally GLYN and NICK SWIFT from SWIFTUNE RACING. The first contact with GLYN SWIFT was not easy! But now, after 20 years of successful and professional cooperation between SWIFTUNE and LONGSPEED, we are very proud with this contact. SWIFTUNE RACING was advanced in the last 15 years to THE LEADING RACE ENGINE BUILDER world wide. Also in 1989 I first contact ANDREAS HOHLS from MINI MANIA. 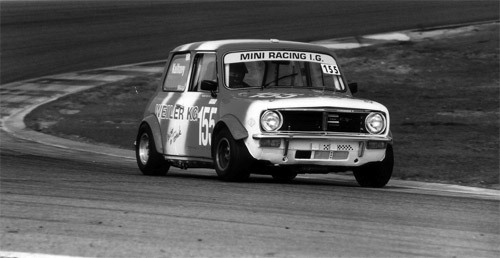 Actually MINI MANIA is THE LEADING DEALER for BMC MINI parts and PROFESSIONAL SUPPORT, as well in Historic Racing. MINI MANIA was and is a professional partner for LONGSPEED since 1989! K.A.D. ; IAN CURLEY Specialized Mouldings; PETER VICKERS from ALTERED IMAGE COACH-WORKS; GERALD & LEIGH DALE from MONDO SPORTS; CASTROL Lubrications, MB Racing Wheels; MINILITE wheels; REVOLUTION wheels; YOKOHAMA semi-race tyres ; DUNLOP Racing Tyres, Slick and Historic Tyres CR65. When British Motor Heritage offer in 2003 the MINI shell in three different marks, we are focused immediately to rebuild MINI’s from bare shell to a brand new car including engine and gearbox rebuild. Up to date, we are specialized on professional rebuilding existing Mini’s to owners high specification. 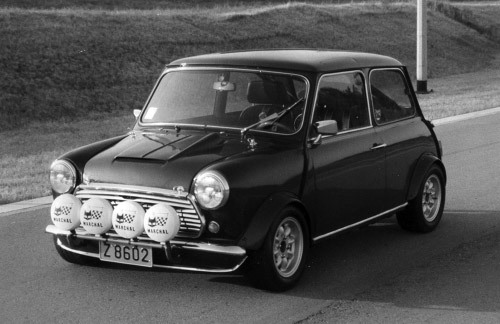 In 1994 I bought from GLYN SWIFT a historic race MINI. John MOWATT’s genuine 1275GT, used in the BTCC (mid 80’s). This was the start for hard and successful racing years. I fully rebuild and later maintained the car for the owner and driver HELMUT KULHAVY. After 10 years of most successful races, Helmut stopped racing. In 2007 I decided to build my own racing cars, a MINI VAN especially for the British Car Trophy (BCT), similar to the MINI MIGLIA in UK, and a historic MORRIS MINI COOPER S Mk1 970ccm (1964). Today, LONGSPEED offer a large range of stock parts for the ROVER/BMC Mini, some CATERHAM parts (pre 2000). We offer as well a full tyre service (road and race), maintenance and tuning Mini A-series engines, maintenance Caterham’s pre 2000 cars only. We have all the facilities to build and maintain your race or rally car. If you have any questions, don’t hesitate to contact us by phone or e-mail.